There are certain sizes of tents. The product could be described in various shapes and designs including their specific use. Some years back I did feel overwhelmed when it comes to knowing about tents generally. Due to the fact that there are multiple sizes and shapes everywhere. The same questions you may have in mind right now also arose in my mind some time ago. However, there is always a setup guide that follows when you buy it initially, and this is primarily for those who want to know how to set up a tent. A dealer may guide you through some simple steps at their physical store, precisely. Tents can be used for providing shelter and total enclosure with roof and side covers. And the following are two main Categories of tents that could be used for recreational activities, small and large events. 1. Bivouac (the watch). These are temporary tent structures that you could personally, or a family of four could set up within 10 to 15 minutes. See an example on the screenshot below. They are relatively small in sizes and are also called old tent styles. Most of these tent styles have all long gone downhill; although, as the tent technology advances there are newer versions being rolled out periodically. A Sibley tent - amongst the old style Tents, Sibley was in the shape of a cone and was heavyweight, it accommodated 12 men and sometimes when it is adjusted could accommodate up to 20 men. We have talked about these small shade canopy structures in the past on the topic "How to Choose the Right Tent for Camping" and that is where we covered in details the modern tent styles. What those small tents are used for? Those types of tents can be used by pastoral nomads who cater for the survival of their livestock. They simply roll them into their bags as they move from place to place. They can also be used for recreational activities such as day-tripping, picnicking, scouting, backpacking, and other related short-term outdoor activities. How much are those tents? As the sizes of those tents vary so as the prices, but the country or city where you reside may negatively or positively affect the prices due to the shipping or landing cost. In most cases, the advice and the recommendations of a reputable company would be required to obtain tents appropriate for your outdoor activities. Bivouac shelter of its kind was first used by the military during the world war11; like the Sibley tent structure which was invented in 1856 by the American Henry Hopkins Sibley who was a military officer. They were also used by early hunters, that's why they are called old tent styles. 2. Circus structures. 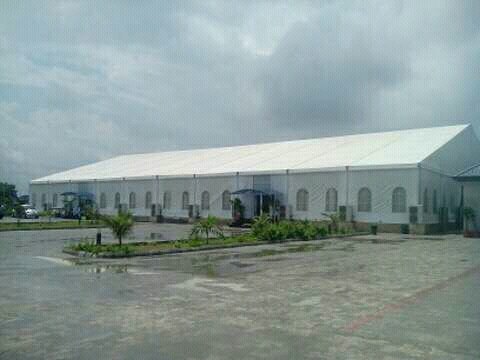 The tents in this category can accommodate over a thousand seaters in a single event. This particular tent family can be very strong, larger and usually very expensive. They require specialized skill and equipment to set them up. Thus, you will need qualified professionals to install them for you. For example, when you want to install a Marquee tent with a glass side wall, you require a bricklayer who would take care of the flooring, a tiler for the tiles. That is not all. You would also require an electrician for wiring the place for lighting, air conditioners specialist and also aluminum specialist who would toughen and fix both the glass and the swing or sliding doors. What large tents are used for? They can be used for festivals, wedding ceremonies, political party rallies, exhibition, trade shows, birthday parties and many different types of events. Another interesting thing about them is that they can also be used for storage, green tech for agricultural produce etc. How much are these large tents? Well, just as we mentioned earlier the price determinant factors remain the same - the sizes and your location. Then, local and yet standard Marquee tents made with thick galvanized steel pipes. Sizes and price rate examples, 20m x 30m (600 seating capacity) at the rate of #3million and 20m x 50m (1000 seating capacity) at the rate of #4.5 million and so on. Conclusion: we hope we answered your challenging questions? The different types of tents, what they are used for, how much are those tents? And how do you set them up? Now there is a comment space below where you can interact with us. We would love to hear from you. Share this post with friends if you had found it useful.